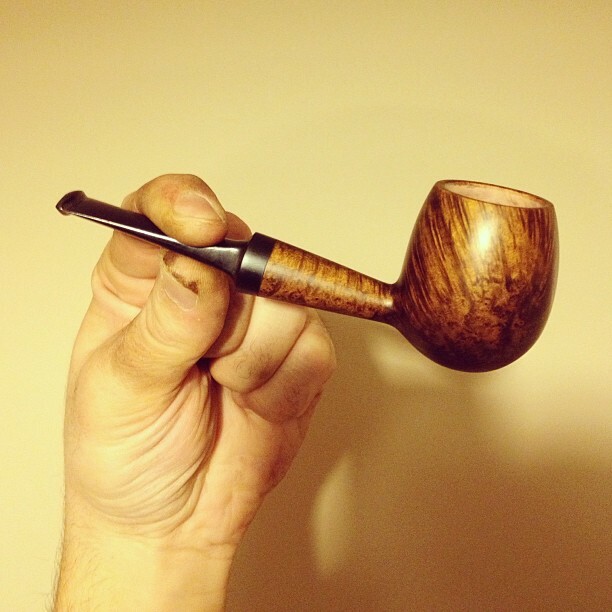 I have been working on this egg shaped pipe during the afternoon. It’s my first test with the lathe. I’ll let the stain rest and I’ll polish it and finish the mouthpiece on sunday. Joan is smoking: Don Carlos + C&D Mississippi Mud.